When it comes to online shopping, those of us living in the Middle East are usually (unfortunately) out of luck. It’s not always easy to source pieces we like, and when we do, most retailers don’t even ship to the region, or won’t accept our preferred methods of payment. But since the region is home to some of the biggest consumers in the world, retailers have finally started catering to us— both by expanding their delivery range as well as offering services like cash on delivery. Awesome. So here’s a round up of MILLE’s go-to stores. Bookmark them now. After their launch in late 2016, Ounass quickly became a staple shopping destination. The site carries over 150 brands and stocks the latest in designer and luxury goods from fashion and lifestyle to beauty. With perhaps the largest selection, Farfetch is the place to go when it comes to luxury. From established brands to emerging designers, you’re sure to find anything you’re looking for here. With a carefully curated selection of contemporary designers, The Modist is the ideal platform for anyone looking for the latest season’s ‘it’ items. The sportswear giant only delivers to a small number of countries outside of the US, but luckily for us, the GCC is among them. Not only can you shop their latest styles, but you can pay cash on delivery too. Alongside Adidas, Nike is one of our go-to brands for sportswear. Their Middle East shopping site offers their latest releases, and shipping is free for any orders over $150. With a concept store (that opened in early 2003) Boutique 1 earned its place as Dubai’s go-to destination for the latest in luxury fashion. So, it’s no surprise that their online store also doesn’t disappoint. Sauce first opened their doors in 2004, and was the first of its kind in the Middle East. Their online store carries a large selection of contemporary fashion and lifestyle brands, among them a number of regional labels. Located in Al Qouz, the centre of Dubai’s art scene, The cARTel offers a unique mix of art and fashion and and showcases a number of pieces from international designers, or what they call wearable art. Soon after its launch in 2011, online retailer Namshi quickly became the Middle East’s one-stop-shop for everything contemporary. The site offers a wide selection of high-street brands as well as beauty and lifestyle items. The British retailer offers what is easily one of the largest selections of clothing online, carrying a long list of brands we all know and love. The site offers shipping all over the world, and the best part is, shipping will only cost you $3. BySymphony is another regional-based online store with a huge range of luxury fashion including Alexander McQueen, Bottega Veneta, Balenciaga, Gucci, and Saint Laurent amongst many, many others. They also offer free delivery all over the GCC. If you’re looking to support regional talent, My Souk in The City is the place to go. The online retailer is dedicated to featuring the latest in Middle Eastern design. The Luxury Closet is an online boutique specializing in pre-owned, as well as new, luxury items. If there’s a handbag from a few seasons ago that you haven’t been able to get your hands on, this is the place to go. If you’re always on the hunt for a deal, The Outnet is going to be your new best friend. The online boutique carries some of the largest names in fashion, and more often than not at half the cost. Dubai based store Glamazle is the region’s answer to all our beauty needs. 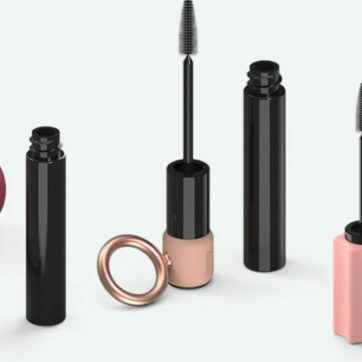 The site offers a wide range of makeup, skincare, and haircare products, and is the only one currently carrying the international brands, La Mer and Mario Badescu. You can skip crowded malls and long lines by heading over to Sephora’s Middle East shopping site to get whatever you need. They even offer free same day delivery. BasharaCare is an online platform dedicated to making skincare accessible to those in the region. You can expect to find a large variety of products from reputable international brands. If you’re looking to re-up on your M.A.C Fix+ or your favourite lipstick, instead of marching up to their counter, all you have to do is to make a quick order on their Middle East online shop. For over 18 years, Wojooh has been at the forefront of beauty shopping in the Middle East. Just like the physical stores, their online shop offers a wide range of makeup brands, skincare products and fragrances.